I will have long-lasting memories of my experience at Market Dojo. In addition to the relaxed and enjoyable working atmosphere, the team often liked the work I did. After leaving, a part of me will stay with Marketdojo, and for a while, through my design creations, a part of Market Dojo will also stay with me. Nicholas, Alun and Nick set up a marketing campaign called “Be the e-Sourcing HERO”. One of my tasks was to put a face into this idea and create various marketing materials. Very soon, you will discover this campaign at the e-World exhibition on 22nd September 2015 where Marketdojo will unveil its new hero. Anya McKenna (Sales and Marketing Executive) will also take care of spreading the word through various social networks, such as Linkedin, Twitter, or even Facebook . Creating the hero, the banner and the poster was simply a part of my internship. However, my CAD knowledge has been truly tested. Dozens of tests and patterns were needed in order to achieve a result satisfying all Market Dojo members. This experience enabled me to understand how the validation process of a communication support in the professional world is long and rigorous. Everything can still be improved. My main objective was to write “Fluent in English” on my CV at the end of my stay in the UK. Although, I may have set the bar too high. A future experience will be required to reach this expected level. However, and fortunately the next exam to to join a top Business School should now be achievable. My internship at this small Start-up has allowed me to interact a lot with people. I had my first opportunity to participate in a professional meeting (party? Congress? I don’t remember the word) where I discovered another interesting side of the English business environment. 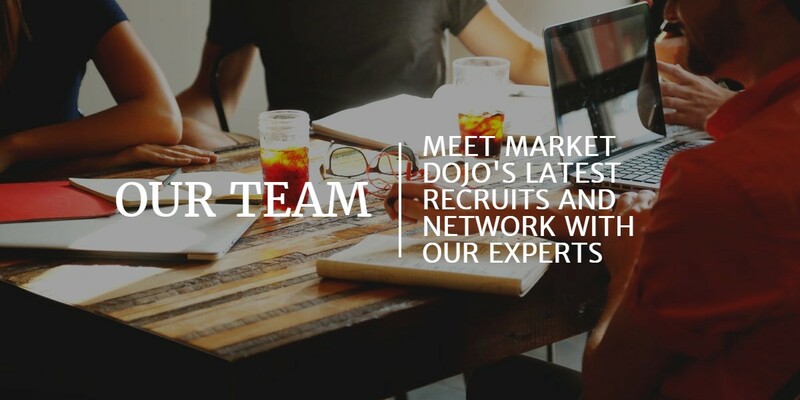 I would like to thank every member of Marketdojo for their welcome, for their help and for their happiness.. I know that this experience will have been incredibly beneficial for my career. I definitely recommend this Start-up to any motivated young Business graduate.